2015 was a year filled with many challenges both at work and in my personal life. It was a year of new learning opportunities and growth. I enjoyed participating in the Bastow Emerging Leaders’ Impact program, as it helped me develop my skills as an emerging leader as well as learning to have the difficult conversations. As well as studying, I was given the chance to put my learning into practice as the English Learning Leader at my school. The leadership role was more demanding than I expected and at times I was stressed out and struggled to cope with all the responsibilities. This put more pressure on my personal life and I often forgot to look after myself. All my energy would be spent at work and I would come home so exhausted that all I was fit for was bed. I continued pushing myself even when I was tired or sick, yet it didn’t seem to be enough. I ended up stressed and unable to cope. I pushed away concerns for my health, forgetting that I needed to look after myself. Throughout the year, I became better at writing down my thoughts. Whether it was on my blog, or as part of my Writer’s Journal, writing helped me clarify my thoughts. It also helped me verbalise the ideas swirling around in my head. Participating in the #YourEduStory challenge made me think more about what I did on a daily basis. Instead of just trying to adopt every new idea I read about, it helped me think about the “how” and “why” – it made me think about what motivates me to learn and how others learn. As I continue the #YourEduStory challenge in 2016, my aim is to not just read others’ posts but to comment on their writing. 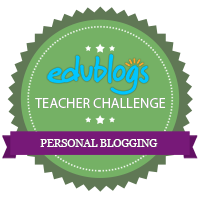 After all that is what I’m trying to teach my students– whilst they can have a face to face conversation about their blog posts, I don’t often have that opportunity with my colleagues at work. By commenting on other educators’ blogs, I can start conversations about a particular topic. It will be a good way to challenge my own thinking about about education. My #oneword for 2016 is “Create”. I deliberated over several words like “resilience”, and “discover”. In discussing it with my friend, she pointed it out that it was a good action word to adopt for 2016. In pondering over it, I realised that she was right. I need to be more proactive in my approach in 2016. I can’t wait for things to happen or for my life to change by itself- I need to work towards it. Only I can make my life better or change things that I do not like- no one else can do it for me. Whilst “believe” was a good word for me in 2015, I need a more action-inspired word for the new year. I need to create a life for myself that is healthy- both physically and mentally. I need to focus on my own well-being as this will allow me to be a better teacher. I can’t give my students my best, if I don’t look after myself. As a teacher, I can’t count the number of times where I’ve given up my lunch break to help my students, or said yes to a project that takes up more of my time. I enjoy working with my students and participating in school activities, often at the cost of my own well-being. I need to have a better work-personal life balance, otherwise it is a detriment to my health. So here’s to 2016 being a year where I create a lifestyle that allows me to continue seeking new opportunities for learning and growth, whilst establishing a healthy home and work balance. I encourage you to think about your #oneword that will motivate you in 2016. 2015 #YourEduStory topic: Most of us are somewhere near the end point of the school year. Reflect on the 2014-15 school year. What went well? What didn’t go as well? What changes are you going to make for the 2015-16 school year? 2016 #YourEdustory topic: What is your “one word” that will inspire you in your classroom or school in 2016? In my 2nd Bastow workshop, the theme was “Leading Teams”. During the two days we learnt that it is important to communicate well with our colleagues. I learnt that whilst certain conversations might be difficult, it is imperative that we have them in order to avoid negativity. Over the past few months, I have encountered more difficult conversations then in previous years of teaching. The increase has resulted due me becoming the English Learning Leader. The issue for me is that “tough talks” are not easy and this is the way most people would probably feel. I find it especially difficult, because all my life I have been raised to “let it go”, to just walk away from a situation where I’m unhappy and avoid addressing the issue. It was a way of letting the issue just fade away, but it would fester within me. It got to a point that I would always walk away feeling stressed, knowing the situation was unresolved. As a leader, it is something I can’t avoid- I need to tackle it head on. I teach in a team – each member has a different teaching style and a way of working.Ideally in a team teaching situation each member’s abilities should add to the team’s capabilities and strengths but I find that this is often not the case. If one member struggles with time and student management, this can often impact the other members and their work. They can be forced to carry the team, doubling their own workload and can find themselves doing most of the work. I have often found myself in this situation many times and as I can’t communicate my frustrations very well, this often has an impact on the team relationship. I try to hide my feelings and hope the situation goes away so that it doesn’t have a negative effect on the students . It doesn’t. Students are very quick in picking up tension between teachers and it can affect the harmony in the classroom. At the workshop, I had to identify a person at work that I needed to have a difficult conversation. In our groups we did role-playing so that we could think about what we would say to the person we needed to have a tough conversation with. For me it was difficult because this has been an ongoing issue, one that I have tried to broach several times over the last 2 years with no change. However I knew I had to keep trying, not so much because it was affecting the way I worked, but because it was having a negative impact on my students. As a result, I am trying to make sure that the next time I begin this conversation, I am in the right frame of mind. It’s not fair to the other person that I’m coming into the meeting with pre-conceived ideas and judgments. In order to understand their point-of-view, I need to ensure the meeting takes place when I’m in the right head-space, so that it is a proper conversation. I have a lot to learn about difficult conversations, but I know that I need to be prepared to actively listen to their point-of-view and to understand that they might be at a point when there are many things happening in the background that I am not aware of. By going in with an open mind, we might be able to work together to come up with a solution that can be implemented in order to ensure the smooth running of our classroom. In February I finally began my Bastow Emerging Leaders’ Program. Ever since I started seeking my own avenues of learning, I realised that I had to find a face-to-face learning environment that was actually interesting and engaging as well as relevant to me. Whilst I enjoy learning online, it can sometimes feel as if I’m missing out on the in-depth conversations. Twitter is great for micro chats, but having the time and unlimited word count can result in a conversation that is not constricted by 140 characters. In the 2 day residential workshops, I felt as if I was stripped bare. There was nowhere to hide- and for once I didn’t feel as if I wanted to run away. I wanted to face my fears and know what I needed to do to become a better leader. I was open about what I needed to work on. My leadership journey is just beginning and I know (at least I think I know) my own strengths and weaknesses. The emotional intelligence test, that all participants had to complete, produced results that weren’t a surprise. Instead of the results making me feel discouraged, they worked to make me more determined about the skills I needed to work on. I wanted to be here- now I was going to have to find the steps that would allow me to go forward. In the Genos Emotional Intelligence test that I completed, as a requirement for the Bastow course, it identified 4 emotional skills that are important in shaping workplace behaviours. These skills are acquired over time and can help shape and strengthen a leader’s capabilities. The effectiveness of a leader depends not only on their actions but how they react in a variety of situations. The aim of this test was to help participants understand that as leaders they needed to cognizant of that fact. In my report, it showed my results for each skill and listed suggestions on how I could improve in each area. I’ve decided that for this year, I will focus on 4 suggestions (1 for each area) in order to further develop my leadership skills. To me, they are my biggest weaknesses which have the major impact on how I react to events that take place around me. During the workshop, I questioned myself and my abilities several times. I framed several questions that are important to me on this year long course. I don’t need to have them answered by the end of the year, but they will help me learn and understand more about how I lead. Do I encourage others to build up their skills? Do I motivate them to be better? How do other leaders make me feel? Do I feel daunted or inferior? Or do they make me want to do better? Do they encourage me? Where am I heading as a leader? What are the values that shape me as a leader? It is interesting to note that getting connected can have a great impact especially on teachers. These days being connected refers not only to teachers connected to other teachers, but also their classes can connect with experts around the world to expand their learning environment. Everyone benefits from a teacher being connected. Being connected means flattening the local, national and global boundaries for learning. Being connected means that teachers and classes can connect with each other in real-time. Being connected helps teachers learn new practices that can change their classrooms. So how has this had an impact on me and most importantly on my students? I am able to provide more support to students who are struggling whilst others are engaged in their learning. Using a Blended Learning approach, I am able to tailor the learning for my students. It allows me to see where students are struggling and need more support. It also allows me to extend the abilities of more capable students and set challenges for them to complete. The biggest impact however of being connected is that I have gotten to know my students as individuals. This has strengthened my relationship with them. I am able to act silly and make a fool of myself in front of them- that gets their attention a lot quicker than yelling. There is a bond of trust- they know I trust them to complete work and they have put their trust in me to help them when they are struggling. Without being connected I would still be frustrated about my ability to engage my students.They are happier in class and always ask me what we are going to do before we step into the classroom. They have the chance to explore new ideas -they are more confident in testing their abilities independently. If they start to struggle they first ask a peer before coming to seek my help. If I hadn’t become connected they wouldn’t have become so independent. They get frustrated in other subjects because they aren’t given the same opportunities they get in my classes. So not only do I benefit from being connected but so do my students. I look forward to being connected for the rest of my life! Curation tools are a lifeline: they help you gather resources that you read from Twitter, Google, blogs and other sites. They allow you to decide what you want to keep so that you can consult, annotate and constantly refer back to articles of interest. However deciding which ones to use is a tough choice. The ones that I’ve tried are Flipboard, Diigo, Evernote and more recently Scoop.it. Diigo was the 1st curation tool that I started using. I was introduced to it at school and we have a group where teachers share new technology tools or websites that might be useful. I continue to use it to save all my favourite websites and tools so that I don’t lose them. It allows me to categorize them according to topic and I can go back to refer to them when I need. I use it predominately to share new websites or resources with staff at school. For me the positive feature of this curation site is that I share sites directly with staff who are part of the Diigo group. My web toolbar also has the Diigo Web Collector which allows me to add the useful websites directly into my Diigo account. Yet at times I feel that for me Diigo is just my favourites’ folder which has all the sites I use and I often forget about it until I need a resource that I have used before. Since I’ve also been trying Evernote, I might decide to stick with one of them instead of using both. Flipboard is a curation tool that I have been using recently. I use the app version on my phone and I use it to collate articles and other useful information for my own personal learning. I stumbled upon Flipboard during the ISTE14 conference. This helped me read the tweets and articles generated by the conference in my own time and at my own pace. It was a good way to follow the conference rather than using Tweetdeck as the tweets were too fast to follow. I have been using it more frequently to organise my own reading according to topics that I am interested in. One such magazine that I’ve created is “Student Voice” as that is my focus for Term 4. I like that you can embed the magazines into blogs and share them with the readers.